BOSTON--(BUSINESS WIRE)-- Plymouth Industrial REIT, Inc. (the “Company”) (NYSE American: PLYM) has completed the previously announced strategic investment by an affiliate of Madison International Realty Holdings, LLC (“Madison”) totaling $75.0 million. 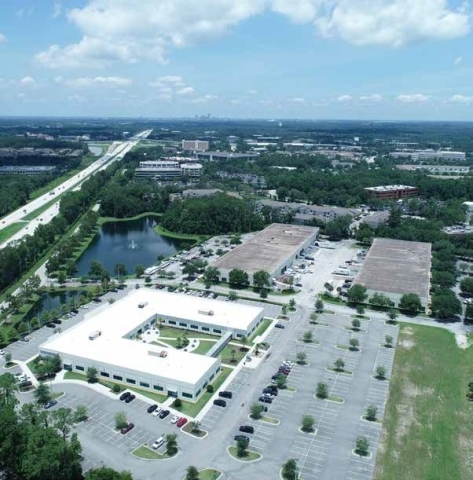 The investment was completed on December 14 coterminously with the closing of the previously announced acquisition of a 20-building, 1.1 million-square-foot light industrial and flex portfolio in Jacksonville, Florida for $97.1 million. Proceeds from the investment were used to fund the repayment of a $31.2 million term loan with KeyBank that was to mature in August 2021; deploy $34.0 million to partially fund the Jacksonville acquisition; fund a $5.0 million stock repurchase program authorized by the Board; and for working capital and other corporate expenses, including closing costs. Jeff Witherell, Chairman and Chief Executive Officer of Plymouth Industrial REIT, noted, “We have demonstrated throughout our early life as a public company that we can source accretive acquisitions that fuel our near and long-term growth plans while providing significant scale in some of the more attractive industrial markets in the country. With these announcements, we have taken a dramatic step forward in Jacksonville and with a proven partner that opens us up for future growth. The acquisition was funded with approximately $34 million in proceeds from the Madison investment and a $63 million short-term loan from KeyBank that bears interest at a rate of 100 basis points over LIBOR. Plymouth intends to refinance the loan in 2019 with secured financing. The portfolio consists of three business parks totaling 20 buildings and 1,133,516 square feet of institutional quality light industrial and flex assets. The buildings are in close proximity to one another in the highly desirable Southside submarket of Jacksonville, centered by the intersection of Interstate 95 and J. Turner Butler Boulevard. The properties are currently 96% leased to 40 tenants. The portfolio has a weighted average lease term of over three years remaining and contains national and regional tenants such as Comcast, Veritiv, Cintas, Staples, Cardinal Health, The Home Depot and Johnson Controls. As previously announced, the Company sold Madison 4,411,764 shares of its Series B Convertible Redeemable Preferred Stock at a price of $17.00 per share, or $75.0 million aggregate consideration, in a private placement. The shares of Series B Convertible Redeemable Preferred Stock are convertible into shares of the Company’s common stock, at the option of the holders, commencing on January 1, 2022. Prior to the receipt of stockholder approval, such conversion into shares of common stock is limited to the aggregate of the 19.99% limit under applicable NYSE American rules. Sandler O’Neill + Partners served as an advisor to the Company on the strategic investment. The Board of Directors authorized a stock repurchase plan providing for the purchase in the aggregate of up to $5 million of the Company’s common stock. Plymouth currently has 4,821,876 shares of common stock outstanding. Repurchases of shares will be made in accordance with applicable securities laws and may be made from time to time through solicited or unsolicited transactions in the open market or by negotiated transactions. The amount and timing of repurchases will be based on a variety of factors, including stock acquisition price, regulatory limitations and other market and economic factors. No limit was placed on the duration of the repurchase program. The stock repurchase program does not require the Company to repurchase any specific number of shares, and the Company may terminate the repurchase program at any time. Madison International Realty (www.madisonint.com) is a leading liquidity provider to real estate investors worldwide. Madison provides joint venture and preferred equity capital for real estate owners and investors that are looking to de-lever their properties; seek an exit strategy; or where existing sponsors seek to sell a portion of their ownership position. The firm provides equity for recapitalizations, partner buyouts and capital infusions; and acquires joint venture, limited partner and co-investment interests as principals. Madison focuses solely on existing properties and portfolios in the U.S., U.K., and Western Europe. Madison has offices in New York, London and Frankfurt, Germany, where the firm operates under the name of Madison International Realty GmbH.